We are excited to let you know that we are opening up a new flagship location on 11 Avenue. As a result, we are saying goodbye to our pop-up --that lived for four years-- in Last Best Brewing & Distilling. Team: All of our previous Last Best Barbers (Karlo, Mickey, Michael, and Alanna) will be joined by a few new faces that we cannot wait to introduce you to. The space is being designed by the talented team at Fort Architecture, with inspiration being drawn from eclectic mid-century design. We are also excited to have the space to offer a more robust retail selection ranging from your familiar grooming favourites like Bumble & bumble, Oribe, ADH, Shiner Gold, and Morris Motley, to a spread of new and continuously evolving lifestyle goods, books, and more! If you have an existing appointment prior to April 30, it will remain as is at Johnny's Last Best location. If you have an appointment booked on or after April 30, your appointment still stands - it will just be at our new location. Don't worry, we will be calling you to remind you of the change too! We're hiring barbers for our Henry Singer location! 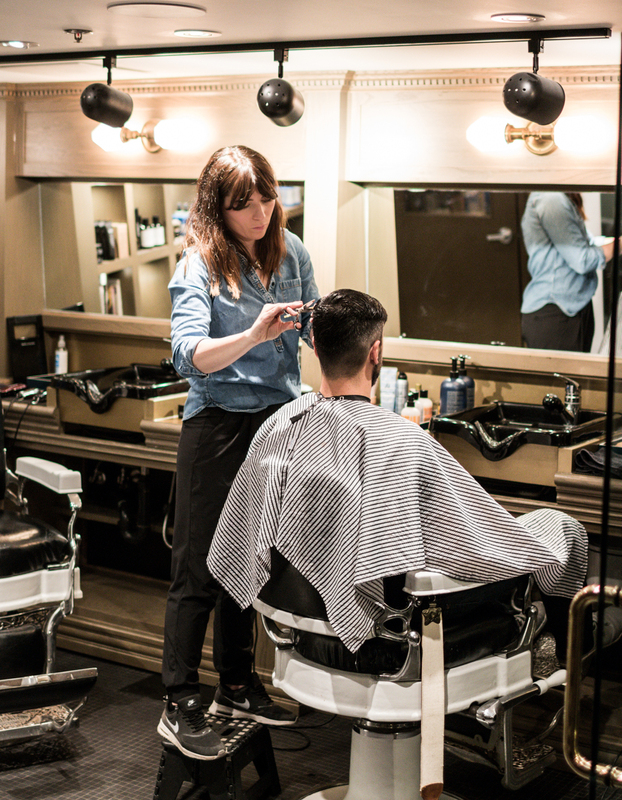 If you're committed to honing your craft and providing an elevated experience for your guests, email careers@johnnysbarberandshop.com. The above is the tagline for our newest product line, ADH Brand. Created by Andrew Does Hair, someone we look up to and regard as a true hair maverick. Johnny’s Barber + Shop is stoked to be the first shop in Calgary to carry this phenomenal line, and we know our guests are going to love it as much as we do. So why the tag line? Because it’s true – the products you buy and use in your hair are only as good as the cut you have and the techniques you use to tame that mane. If you’ve been to the shop, you know we couldn’t agree more. Best of all, there’s no talk of “hair type.” It will work with whatever you’ve got, if you are willing to put in the effort and style it right. 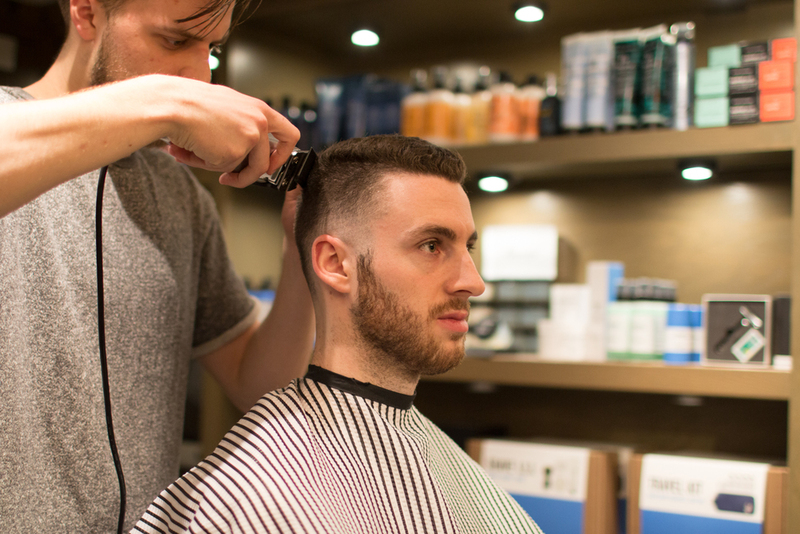 Talk to your barber for the best way to use it in your hair. “I honestly believe it’s one of the best product lines on the market right now. Neither of the products have a super unnatural look to them—nothing that looks too product-y,” agrees Michael, another one of our barbers. 1) ADH Dry: More matte than a wax, but softer and more pliable than a clay. It adds texture and creates separation while removing the “poofiness” of blow-dried hair. If you put it in damp hair and let it air-dry it, expect a surfer’s texture. More details here. 2) ADH Wet: Water based and medium weight, ADH Wet provides the shine you want without looking greasy. Think of it as a less sticky pomade that will achieve more separation than glueing your hair together. It can be applied wet or damp, but is best blow dried in (see above!). More info here. 1. As a barber we get to work with so many different types of people. Each month hundreds of guys walk through our doors. In those moments we get to hear stories, discuss current events and “solve” world problems one cut at a time. 2. Each day we get to wake up and do what we love: cut some awesome hair! 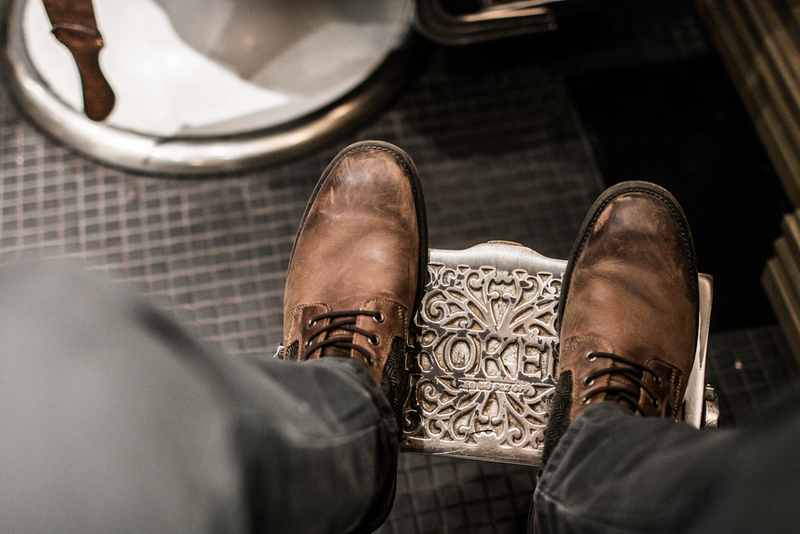 There is just something about a clean cut or shave walking out of our doors, that makes us proud to be barbers. 3. We are able to express ourselves. With so many people visiting us, we get to express our craft and art through our own creativity. It is important in life to be able to be yourself, luckily we have that every day in the shop! Here at Johnny’s we take pride in our work. 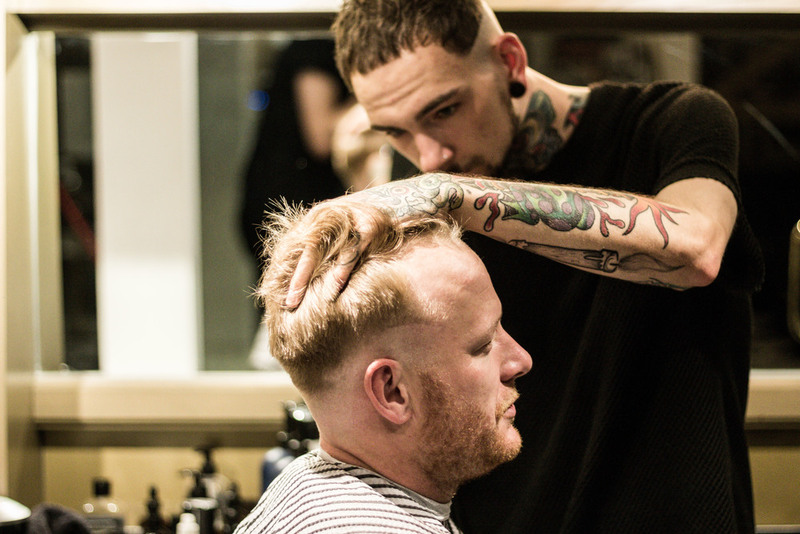 Barbering is a long and respected tradition. We are proud to be part of such a timeless occupation amongst the community, every day we strive to uphold the history of this craft. 1. In ancient Egyptian culture, barbers were highly respected individuals. Historians have found old razors amongst ancient relics, dating as far back as 3500 B.C. 2. Starting in the Middle Ages barbers were trusted with dentistry and surgery. In addition to cutting hair, they were giving the responsibility of bloodletting and leeching, extraction of teeth; earning them the name of “barber surgeons”. White – The bandages they used during surgery. Blue – Were the veins of the customers. Red – Symbols of the blood (surgery, bloodletting etc…). 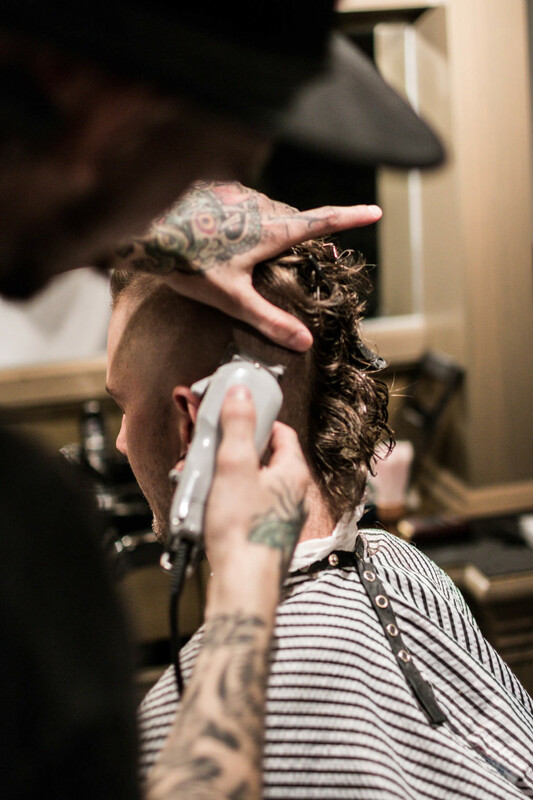 Although we don’t do half of those things, the art of barbering has evolved and we are proud to be part of the history. Stop by today and check out what we are all about.